Images from top, left to right: Metropolitan Cathedral, an avenue in Campinas's downtown, an old railway station, Mogiana Palace, a monument to the heroes of Constitutionalist Revolution (in Saudade Cemetery), a bus terminus, Central area of Campinas as seen from Torre do Castelo, a belvedere. Campinas (Portuguese pronunciation: [kɐ̃ˈpinɐs], Plains or Meadows) is a Brazilian municipality in São Paulo State, part of the country's Southeast Region. According to the 2010 Census, the city's population is 1,080,999, making it the fourteenth most populous Brazilian city and the third most populous municipality in São Paulo state. 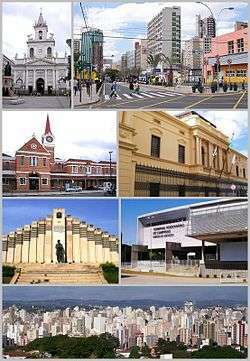 The city's metropolitan area, Metropolitan Region of Campinas, contains twenty municipalities with a total population of 2,976,433 people. Campinas means grass fields in Portuguese and refers to its characteristic landscape, which originally comprised large stretches of dense subtropical forests (mato grosso or thick woods in Portuguese), mainly along the many rivers, interspersed with gently rolling hills covered by low-lying vegetation. Campinas' official crest and flag has a picture of the mythical bird, the phoenix, because it was practically reborn after a devastating epidemic of yellow fever in the 1800s, which killed more than 25% of the city's inhabitants. The city was founded on July 14, 1774, by Barreto Leme. It was initially a simple outpost on the way to Minas Gerais and Goiás serving the "Bandeirantes" who were in search of precious minerals and Indian slaves. In the first half of the 19th century, Campinas became a growing population center, with many coffee, cotton and sugarcane farms. The construction of a railway linking the city of São Paulo to Santos' seaport, in 1867, was very important for its growth. In the second half of the 19th century, with the abolition of slavery, farming and industrialization attracted many foreign immigrants to replace the lost manpower, mainly from Italy. 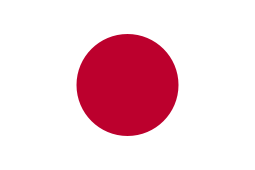 Coffee became an important export and the city became wealthy. In consequence, a large service sector was established to serve the growing population, and in the first decades of the 20th century, Campinas could already boast of an opera house, theaters, banks, movie theaters, radio stations, a philharmonic orchestra, two newspapers (Correio Popular and Diário do Povo), a good public education system (with the Escola Normal de Campinas and the Colégio Culto à Ciência), and hospitals, such as the Santa Casa de Misericórdia (a charity for poor people). And the Casa de Saúde de Campinas (for the Italian community, formerly known as Circolo Italiani Uniti), and the most important Brazilian research center in agricultural sciences, the Instituto Agronômico de Campinas, which was founded by Emperor Pedro II. Finally, the construction of the first Brazilian highway in 1938, between Campinas and São Paulo, the Anhanguera Highway, was a turning point in the integration of Campinas into the rest of the state. 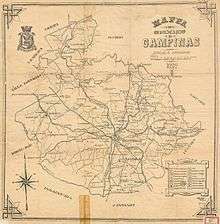 Campinas was the birthplace of opera composer Carlos Gomes (1836 — 1896) and of the President of the Republic Campos Salles (1841 — 1913). It was home for 49 years to Hércules Florence, reputed as one of the early inventors of photography, photocopying and the mimeograph. Regatas Club in Cambuí neighborhood. 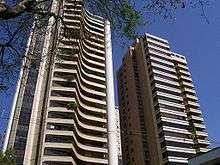 The area of the city, according to the Brazilian Institute of Geography and Statistics, is 795.697 square kilometres (307.220 square miles); 238.3230 square kilometres (92.017 square miles) of this is the urban area and 557.334 square kilometres (215.188 square miles) remaining constitute greater Campinas. 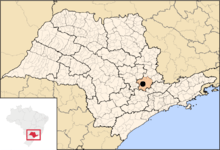 It is located at 22°54′21″S, 47°03′39″W and is at a distance of 96 kilometres (60 miles) northwest of São Paulo. Its neighboring cities are Paulínia, Jaguariúna and Pedreira, north; Morungaba, Itatiba and Valinhos in the east; Itupeva, Indaiatuba and Monte Mor, south, and Hortolândia in the west. Most of the original vegetation of the city was devastated. Like 13 other municipalities in the metropolitan region of Campinas, the city is subject to severe environmental stress, and Campinas is considered one of the areas liable to flooding and silting; it now has less than 5% of vegetation cover. To try to reverse this situation, several projects have been and are being conducted and planned, such as building corridors, such as regulation of the Management Plan of Environmental Preservation Area (APA) in Campinas. There are also several environmental projects to combat the destruction of riparian forests located on the river london, which has a high level of pollution. Today, Campinas houses the area of relevant ecological interest (ARIE) Mata de Santa Genebra, 251 acres (1.02 km2), established in 1985 and regulated by the Brazilian Environment and Renewable Natural Resources (IBAMA), the city of Campinas, Fundação José Pedro de Oliveira. This is the now second largest urban forest of Brazil, behind only the Tijuca Forest, in Rio de Janeiro. The city also has large forests, such as Jequitibás Wood (installed in 1881), Forest Grove and the Germans of Guarantees. View of Campinas during a storm. The city lies in a transition region between the tropical climates to the north and subtropical climates to the south, with many sources classifying it as having a humid subtropical climate (either as Cwa or Cfa type in the Köppen classification, depending on the source), but others giving for it a tropical wet and dry climate (Aw in Köppen scheme). If it were not for the moderating effects of the city's altitude its climate would be truly tropical. Winters are generally dry and mild (rarely too cold), and summers rainy with warm to hot temperatures. The warmest month is February, with an average temperature of 24 °C, an average maximum of 29.1 °C and average minimum of 19.0 °C. The coldest month, July, sees respective temperatures of 17.8 °C, and 24.2 °C and 11.4 °C average maximum and minimum. Fall and spring are transitional seasons. 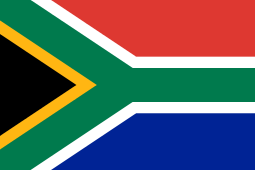 The average annual rainfall is 1424.5 mm and the driest month in August, when there is only 22.9 mm. In January, the rainiest month, the average is 280.3 mm. In recent years, however, the hot, dry days during the winter have been increasingly frequent, often surpassing 30 °C, especially between July and September. In August 2010, for example, the rainfall in Campinas was only 0 mm. During the dry season and long dry spells in the middle of the rainy season are also common records of fires in the hills and thickets, especially in rural areas of the city, which contributes to deforestation and the release of pollutants into the atmosphere, further worsening air quality. The lowest temperature recorded in the city was −1.5 °C on June 25, 1918. The highest temperature was 39.0 °C, observed on 17 November 1985. 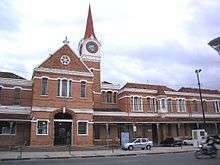 The highest cumulative rainfall recorded in 24 hours in the city between June 1988 and October 2008 was 143.4 mm in 25 days May 2005. Between 1890 and 2004 there were 41 occurrences of frost in Campinas. The most recent was on July 18, 2000, when the minimum temperature reached 2.2 °C. There are also occasional episodes of strong winds, with gusts exceeding 100 km / h, and training records were made in the city day May 4, 2001 and March 9, 2008. The wet season is from mid-October to mid-April, with heavier rains particularly in December, January, February and early March, and the dry season is from mid-May to mid-September. Average rainfall is 24.3 mm in August and 267.8 mm in January. Average humidity ranges from 37% (August) to 56% (January). In the region around Campinas near the state of Minas Gerais there are a number of cities which enjoy an even milder mountain climate, such as Serra Negra, Socorro, Lindóia and Águas de Lindóia, where several water spas are located. "Coronel Quirino" Street in the upper-class residential area of the Cambuí. Luxury condos at Cambuí, a wealthy neighbourhood of Campinas. Campinas Brazil Temple of The Church of Jesus Christ of Latter-day Saints located in the city. According to the 2010 IBGE Census, and as November 2010, Campinas had a population of 1,080,999 and a population density of 1358.6 (inhabitants / km ²). Infant mortality levels were at up to 1 year (per thousand): 14.05 and life expectation in the city was 72.22 years. The fertility rate was at 1.78 children per woman. 96.01 of the populace could read. Administrative micro-region of Campinas. 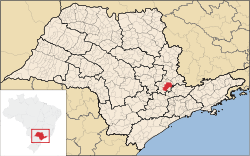 The outlying municipality names in red are also part of the Metropolitan Region of Campinas. As of 2010, Campinas became an official metropolitan region (RMC — Região Metropolitana de Campinas), with 19 municipalities, with a total of 2.8 million inhabitants and a total land area of 3,348 square kilometres (1,293 square miles) (data as of 2010), adjacent to the São Paulo metropolitan region (RMSP). The Campinas Metropolitan area also comprehends a Gross Domestic Product (GDP) of R$70.7 billion (around U$42 billion). The Campinas municipality is also the administrative center of the micro- and meso-regions of the same name. The micro-region includes the RMC (Metropolitan Region of Campinas) and the municipality of Elias Fausto; the meso-region also includes the following municipalities: Aguaí, Amparo, Águas da Prata, Águas de Lindóia, Caconde, Casa Branca, Divinolândia, Espírito Santo do Pinhal, Estiva Gerbi, Itapira, Itobi, Lindóia, Mococa, Mogi Guaçu, Moji-Mirim, Monte Alegre do Sul, Pedra Bela, Pinhalzinho, Pirassununga, Porto Ferreira, Santa Cruz das Palmeiras, Santo Antônio do Jardim, São João da Boa Vista, São José do Rio Pardo, São Sebastião da Grama, Serra Negra, Socorro, Tambaú, Tapiratiba, Vargem Grande do Sul and Vinhedo. 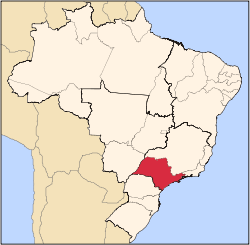 Other cities which are geographically, historically or economically tied to the meso-region of Campinas could be mentioned: Araras, Atibaia, Bragança Paulista, Capivari, Conchal, Iracemápolis, Itu, Itupeva, Jarinu, Jundiai, Limeira, Louveira, Mombuca, Morungaba, Piracicaba, Rafard, Rio das Pedras, Salto and Tuiuti. José de Souza Campos Avenue (Most commonly known as North-South Avenue). Campinas is the richest city in the metropolitan region of Campinas and the 10th richest city in Brazil, showing a gross domestic product (GDP) of 36.68 billion reais (2010), which represents almost 1% (0.998%) of all Brazilian GDP. Currently, the city concentrates 10% of industrial production of Brazil. The paper highlights the high-tech industries and metallurgical park, considered the capital of Silicon Valley Sterling. The region hosts 17,677 industries, the second largest number in the State of São Paulo. The petrochemical complex is centered in the Southeastern section, a few miles from Campinas, near the refinery of Petrobras Planalto Paulista (Replan), the largest in Brazil one of the largest in Latin America, and has companies like Dupont, Chevron, Shell, Exxon, Group Ipiranga, Eucatex, Rhodia, and others. It is the hub of companies and Blue Trip. The largest companies have a global turnover of more than $80 billion, larger than many Latin American countries. The city has several shopping malls, two of the largest being Iguatemi Campinas and Shopping Parque Dom Pedro. Campinas has, within its metropolitan area, the largest cargo airport for import/export, Viracopos International Airport, a significant entity in the international transport of cargo. Campinas' main economic activities are agriculture (mainly coffee, sugarcane, and cotton), industry (textiles, motorcycles, cars, machinery, agricultural equipment, food and beverages, chemical and petrochemical, pharmaceuticals, paper and cellulose, telecommunications, computers and electronics, etc. 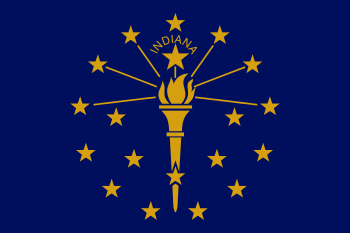 ), commerce and services. The Campinas Metropolitan Region is home to many national and international high-tech industries and IT companies, including IBM, Dell, Motorola, NXP, Lucent, Nortel, Compaq, Celestica, Samsung, Alcatel, Bosch, 3M, Texas Instruments and CI&T. The airline TRIP Linhas Aéreas is headquartered in Campinas. The Viracopos airport is also the operational hub of Azul Airlines. The automotive industry is also heavily represented: General Motors, Mercedes-Benz, Honda, Magneti Marelli, Eaton Corporation, Tenneco, Toyota and many others are present. It also has a sizable pharmaceutical industry sector, with companies like Medley Farma, EMS Farma, Altana, Merck Sharp and Dohme, Cristália, Valeo, etc. In addition the region is home to many research centers and universities, such as the Brazilian Synchrotron Light Laboratory, Brazilian Nanotechnology National Laboratory, National Laboratory of Science and Technology of Bioethanol, Brazilian Biosciences National Laboratory, Centro de Pesquisa e Desenvolvimento em Telecomunicações (CPqD), CenPRA, Embrapa, Unicamp, Facamp and Puccamp. According to the Times Higher Education 2007 World University Rankings, the University of Campinas (Unicamp) is the 177th best university in the world, and the 2nd best in Latin America (after the University of São Paulo in 176th place). 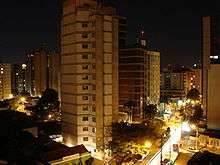 View of Downtown Campinas at night. Campinas also boasts the largest number of high-tech business incubators and industrial parks (a total of eight), such as the CIATEC I and II, Softex, TechnoPark, InCamp, Polis, TechTown, Industrial Park of Campinas and others. The presence of one of the largest oil refineries in Latin America (350,824 barrels (55,776.6 m3) of crude per day), operated by Petrobras in the neighboring county of Paulínia, has attracted many petrochemical companies to the Campinas area, including DuPont, Rhone-Poulenc, and Royal Dutch Shell. The Brazilian Pró-Álcool Program was developed in Campinas: a whole industry based on the use of ethanol as a combustible for motor vehicles, going from a new sucrose-rich sugarcane, to alcohol refineries, a huge distribution system, and, most recently, an internal combustion engine capable of using either gasoline or ethanol. Other examples of Campinas-bred technologies are fiber optics, lasers for telecommunications and medical applications, integrated circuits design and fabrication, satellite environmental monitoring of natural resources, software for agriculture, digital telephone switches, deep-water oil exploration platforms and technologies, biomedical equipment, medical software, genetic engineering and recombinant DNA technologies for food production and pharmaceutics, and food engineering. Because of this, Campinas has been called the Brazilian Silicon Valley. 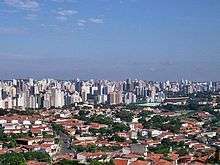 Despite Campinas' position of wealth and social and economic opportunity vis-a-vis the rest of the country, the average per capita income of little more than US$17,700 per year clearly indicates that there are problems. If re-evaluated in terms of PPP (Purchasing Power Parity), Campinas' average income looks better (roughly 12,300 USD per year). The responsible for the cultural sector of Campinas is the City Department of Culture, which aims to plan and implement the cultural policy of the municipality through the development of programs, projects and activities aimed to cultural development. The city has always been a cultural center in the State of São Paulo. This has increased greatly with the proliferation of universities. Campinas has three theater houses, a symphony orchestra, (considered one of the three best of the country), now under Principal Conductor Parcival Módolo and Karl Martin, classical music ensembles, choral groups, 43 movie screens and over a dozen cinemas, dozens of libraries (including a municipal library), art galleries, museums, etc. Jardim Proença, a neighborhood of Campinas, as seen from north. Swimming in the Tennis Club of Campinas (TCC). 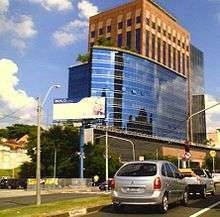 Campinas' readers of the Correio Popular newspaper and the Cosmo Website have voted in July 2007 for the "Seven Wonders of Campinas". 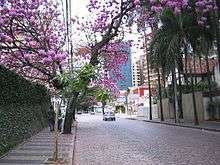 The mountain region around Campinas has better travel and stay opportunities, such as in the spa cities of Serra Negra and Águas de Lindóia; and in Holambra, a rural region which was populated by immigrants from the Netherlands, with an annual flower festival and typical buildings and restaurants. The seven wonders of Campinas is a list of the most beautiful and interesting tourism spots in the city of Campinas, Brazil, which were voted by the readers of Correio Popular newspaper and the Cosmo On-Line Web portal. The old train station of Companhia Paulista Railways, a symbol of the city of Campinas and of the development of the State of São Paulo, changed its name, was restored and converted into an important center for recreation and culture for the entire population. Workshops, concerts and other cultural activities are held throughout the year. The construction of the Cathedral began on October 1807 and extended for more than seventy years until its inauguration on December 1883. The entire structure was made of compressed clay, a construction technique of old tradition in São Paulo. 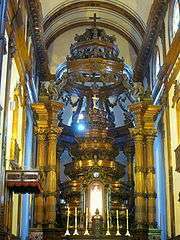 The internal decoration is made dark jacaranda wood, The four bells in the main tower are a century old. Aimed at leisure and sports, the "Bamboo Grove Lagoon" brings together a wide variety of recreational and cultural resources, such as paddleboats, an exact replica of the caravel ship that brought Pedro Álvares Cabral to discover Brazil, picnic groves, bird nurseries; area with fitness equipment, playgrounds, snack bar, restrooms and a scenic 4-kilometre (2.5 mi) electric tramway that is operated by restored historic tramcars once used for regular transportation in Campinas. Inaugurated in 1925, this building held the headquarters of the Jockey Club of Campinas. The building has a classic facade and interior inspired by French palaces of the late 18th century. Located in the central region of Campinas, the Municipal Market, better known as "Mercadão", was inaugurated on April 12, 1908 by Mayor Orosimbo Maia. Work of famous architect Ramos de Azevedo, it still working today, with its colorful stalls full of fresh product from the fields. The project, in Spanish colonial style, was designed and conducted by the architect Ernani Do Val Penteado and inaugurated on January 23, 1959, Since 1961 the Preparatory School of Army Cadets of Campinas has become the legitimate custodian of the traditions of the preparatory education of the Brazilian Army. This water tower was built between 1936 and 1940 in the highest altitude point inside the urban area, 735 meters above sea level. From its gazebo on the top, one can enjoy a wide panorama view of the city. Brinco de Ouro Stadium on right. Campinas is home to two football clubs nationally recognized: Associação Atlética Ponte Preta and Guarani Futebol Clube, who perform "Campineiro derby" match that is considered one of the most traditional of the state occurring since 1912. 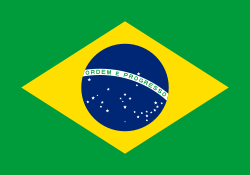 There is also Red Bull Brasil, which was created in November 2007 and lately has gained significant prominence. Women's football also has been outstanding, albeit amateur. In the story also revealed other clubs, such as Mogiana Sports Club, which was created in June 7, 1933 and came into bankruptcy in the 60s. The city also has three major venues: Estádio Brinco de Ouro da Princesa, owned by the Guarani, which opened in 1953 and today has a capacity of around 32,341 people, Sport and Recreation Centre in Campinas Dr. Horacio Antonio da Costa (Cerecamp Stadium or Mogiana Stadium), which belongs to the state of São Paulo and was opened in 1940, besides the Estádio Moisés Lucarelli, owned by Ponte Preta, which was built by its own supporters, and founded in 1948 and has the capacity to 19,722 visitors. It is popular known as "Majestoso" (The Majestic One), for being the third largest stadium in Brazil as the year of its foundation, smaller only than Pacaembu, in São Paulo and São Januário, in Rio de Janeiro. The city is still home to several sporting events in other modalities, such as Corrida Integração (Integration Race), which is held since 1983 by Pioneer Broadcasters Television (EPTV), being divided into two modes (a 5 km-dedicated to the disabled and wheelchair users, and another 10 km, the normal). 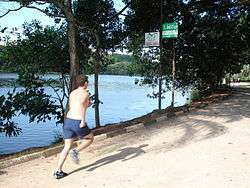 Campinas also has tradition in the Open Games of the Interior, created in 1936 and competition involving various sports. 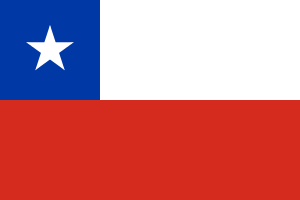 Four times, hosted the competition (1939, 1945, 1960 and 1994), and ten times the city came out as the winner of the competition (1939, 1955, 1956, 1958, 1960, 1971, 1974, 1975, 1978, 1979), being the third city which has won the most competition. In tennis there is the Tennis Club of Campinas (CBT), which was created in 1913, offering, in addition to the blocks of the sport, swimming pools, courts for basketball and soccer, as well as rooms suitable for the practice of judo, gymnastics and dance. Club de Regatas Campineiro and Swim (CCRN) also provides space for the practice of various types of Olympic sports. Jequitibás Palace, Campinas City Hall. 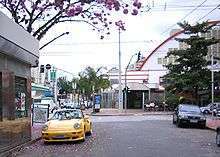 The municipality is subdivided into one main district and four subdistricts, Joaquim Egídio, Sousas, Barão Geraldo and Nova Aparecida. 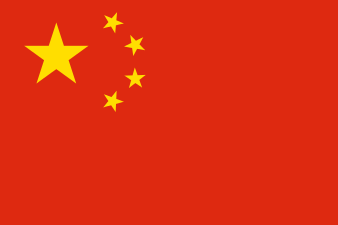 There are also 14 regional administrations. 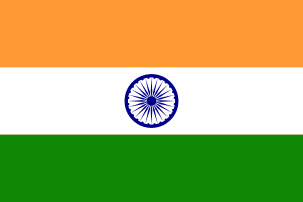 The Secretariat of International Cooperation (SMCI) was created on April 28, 1994. It is one of the 18 Secretariats of the City Hall of Campinas and it is currently located in that building. the perpetuation of the relations between the city, its international community and partners, such as the Sister-Cities. 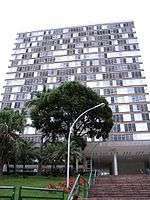 The Secretariat also acts as supporter to other secretariats in the City Hall, often through: the identification of national and foreign potentials investors; keeping systematic contacts with executives in Brazil and abroad, Embassies, Chambers of Commerces and relevant International Organizations; presenting Campinas to the cities and interested investors. 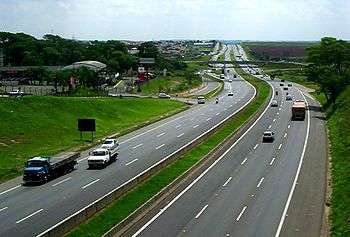 Dom Pedro I motorway, part of Campinas Beltway. All these motorways are built according to the highest international standards (see highway system of São Paulo). The Anel Viário José Magalhães Teixeira (SP-038) around the city currently interconnects the Anhangüera and Dom Pedro I motorways. The main airport of the city is Viracopos International Airport, located 14 kilometres (8.7 mi) from Downtown Campinas and 99 kilometres (62 mi) from the city of São Paulo. The airport is the second largest cargo terminal in Brazil. It is one of the fastest growing airports in the country, and since it was turned over to the private sector in 2012, a number of improvements and innovations have been implemented through the Viracopos Brazil Airports concession. A second facility, Campo dos Amarais Airport located 8 kilometres (5.0 mi) from downtown Campinas, is dedicated to general aviation. Typical buildings at Unicamp (University of Campinas). INPG Business School (Instituto Nacional de Pós-Graduação) - INPG campus in Campinas; Nationally ranked MBA School by Magazine Você S/A, Edition Nov/2010. Faculdade de Odontologia São Leopoldo Mandic. Three daily newspapers are published in Campinas, all owned by media company Rede Anhangüera de Comunicação: Correio Popular, Diário do Povo and Notícia Já (a tabloid). Several other local newspapers with weekly or monthly circulation are also published. Several magazines are also published in Campinas, the largest one being Metrópole, which circulates on Sundays as a supplement to Correio Popular. 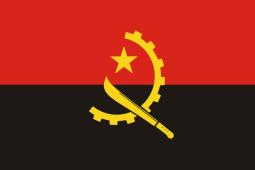 The city has also a large number of radio stations as well as several local TV stations, including TV Universidades and Fenix TV (both not-for-profit), distributed by Net Campinas, the local cable distributor. 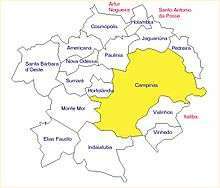 Campinas was the first city in Brazil, outside the capitals of Brazilian states, which received the transmission in digital signal for TV, by EPTV, an affiliate of Rede Globo, on October 3, 2008. 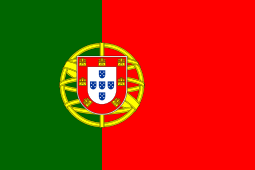 It currently has the second TV station that also broadcasts the signal by TVB, now an affiliate of Rede Record, since February 2011 (before SBT, when it began in May 8, 2010). ↑ "Censo 2010: população do Brasil é de 190.732.694 pessoas". Retrieved April 29, 2011. ↑ "Campinas faz 233 anos hoje" (in Portuguese). Correio Popular. 2007-07-14. Retrieved 2009-01-06. ↑ "CONTRATO DE TRANSPORTE AÉREO DE PASSAGEIROS "TRIP"." TRIP Linhas Aéreas. Retrieved on July 5, 2010. "TRIP LINHAS AÉREAS, sociedade com sede na Av. Brasil, n.1394, Jardim Giuanabara, no Município de Campinas, Estado de São Paulo..."
↑ "Malito torna-se cidade-irmã de Campinas". www.campinas.sp.gov.br. 1 2 "Campinas assina acordo de cidade-irmã com Cascais em Portugal". Retrieved July 9, 2012. Official home page (in Portuguese). Planos de Saúde (in Portuguese).